Whitehall Palace was the principal residence of the British monarchy from 1529 to 1698, when fire destroyed the majority of the complex. As such, it holds a key place in the architectural, political, and social history of England. This book is the first to discuss the architecture and archaeology of this influential building. Simon Thurley traces the development of the palace from its origins, using previously unpublished archaeological evidence to establish that York Place, as it was then called, was already one of the largest and most important residences in London before it became a royal palace. Thurley reconstructs the various phases of the palace's development, showing how successive kings and queens altered the vast sprawling mass of Whitehall to meet their individual needs. He also charts the plans of monarchs to replace the Tudor building with one that might have rivaled the great baroque palaces of Europe, and he reveals the reasons they failed to achieve this. 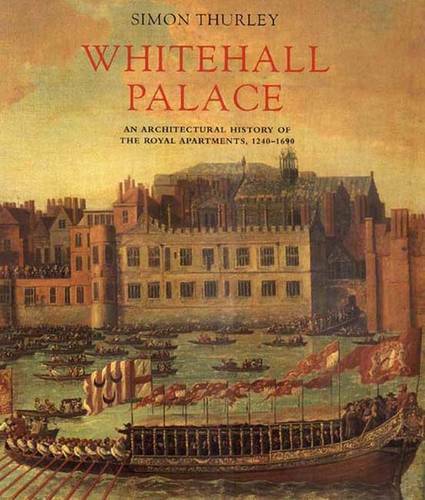 Throughout, the book is illustrated with specially commissioned plans and diagrams of Whitehall as well as unique photographs taken while the palace was being excavated in the 1930s.